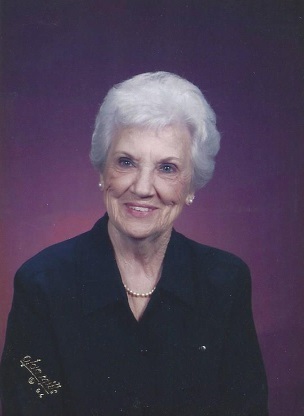 Funeral services for Billie Rushin, age 90, of Austin, will be held at the First United Methodist Church of Sulphur Springs at 10:00 a.m., Friday, February 15, 2019, with Rev. Fred Lewis officiating. Interment will follow at Brashear Cemetery, with Johnny Rushin, Mike Rushin, Randy Rushin, James Major Willis, Kyle Vernon and Bob Richardson serving as pallbearers. Honorary pallbearer will be Kurt Chew. Visitation will be held at Murray-Orwosky Funeral Home from 6:00-7:30 pm, Thursday, February 14, 2019. Billie Rushin passed away Tuesday morning, February 12, 2019, at Hospice Austin’s Christopher House. She was born in Sulphur Springs, Texas, June 28, 1928, the daughter of Hubert and Jessie (Daniels) Glossup. She married Guy Rushin in Sulphur Springs on September 23, 1945. Mrs. Rushin retired from Freezie & Steger in Commerce, Texas, in 1994 where she worked in retail purchasing and sales. Billie was a member of the First United Methodist Church of Sulphur Springs and participated in the Church Choir and Sunday School until her move to Austin in 2013. She was active in the Volunteer Auxiliary at Hopkins County Memorial Hospital for almost 20 years working in Day Surgery and the Gift Shop or wherever the need arose. Billie also was active in The Waverly Club and The Red Hat Society for a number of years and spent many enjoyable hours working in her yard. After moving to Austin, she enjoyed swimming, acrylic painting, arts and crafts, bingo, and spending time with her daughter and son-in-law. In their early years together, Billie and Guy formed their own band and also performed with Hank Thompson, Bob and Joe Shelton, The Callahan Brothers, David Houston, Hank Lakin, Red Sovine, The Rowe Brothers and many others. They both enjoyed traveling and shared a great love of music. Survivors include her daughter, Tracie Lea Chew and husband, Kurt, of Austin; son, Jeffery Mark Rushin; nephew, Bob Richardson, of Franklin; granddaughter, Brittany Lee McDonald and great-grandchildren, Jayden Clay McDonald and Jayleigh Grace McDonald. Billie was preceded in death by a sister, Mae Richardson. In lieu of flowers, donations may be made to Sulphur Springs First United Methodist Church Choir and/or Hospice Austin’s Christopher House.